This combination of herbs and essences is designed to support a level of calmness and grounding to enhance one’s ability to reach deeper levels of meditation, right action and intuition. This vortex is connected to the Arcturus star system and the 7th & 5th chakras and is recommended for mental clarity and spiritual insight. 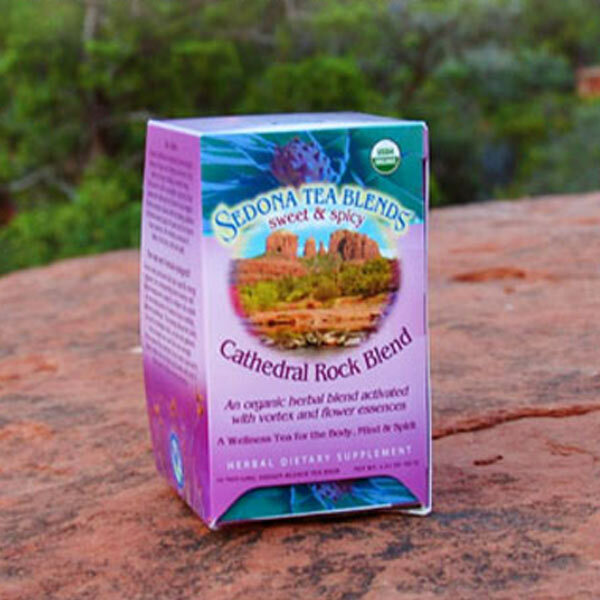 When one climbs the 600′ elevation hike to Cathedral Rock, one feels they are in the company of angels. Tall 400′ spires arise from the saddle and surround the trail. 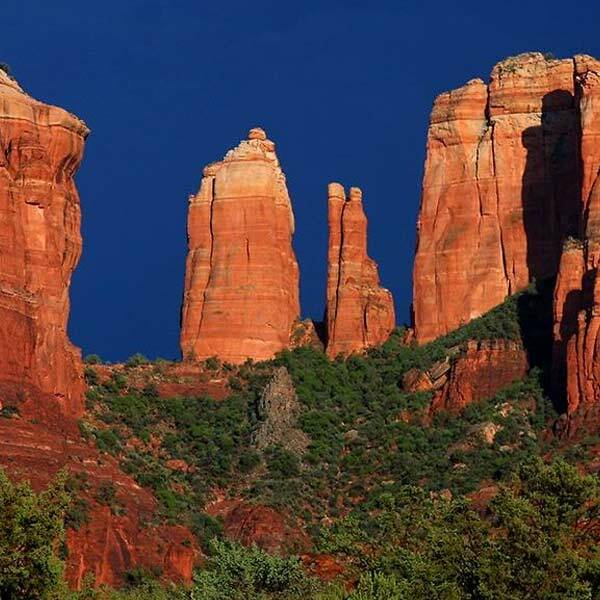 If you look straight up, the blue sky darkens with the contrast to the red rock walls of sandstone, smoothed and weathered by water. There are a few chalise rocks here, standing in perfect balance, and have been that way for hundreds of millions of years, like sentinels of this sacred place. The raven and goss hawk like it here and announce your arrival. If one sits still long enough, the canyon wren will sing it’s flute-like song, descending notes of an octave. The air is charged with potential. Sitting with one’s back against one of the spires, a calmer, deeper breathing emerges as a feeling of relaxation fills the body as though one has rested deeply, refreshed and rejuvenated. A source of inspiration and wisdom, this magnetic flowing vortex promotes a quality of inner meditative calmness and access to inner levels of knowledge, grounding, strengthening and awakening one’s relationship to the earth element. 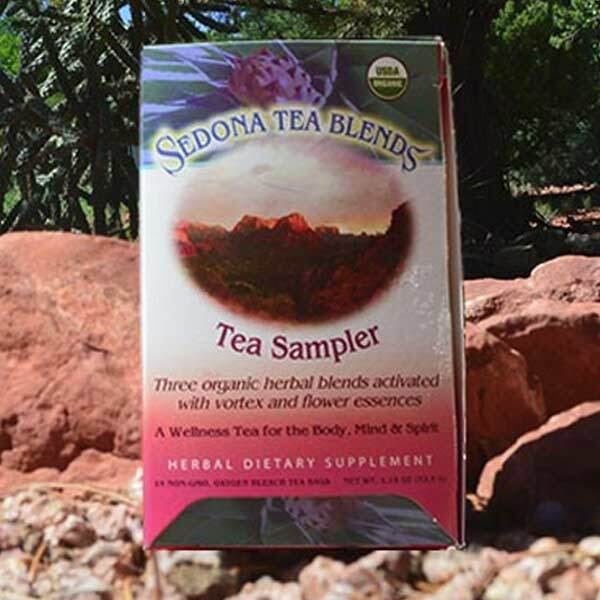 The Spirit Keeper of the land is one of wisdom, offering an energizing , rejuvenating quality. Flower essences work with subtle body energetics, our perceptions and address emotional well being and mind-body health. 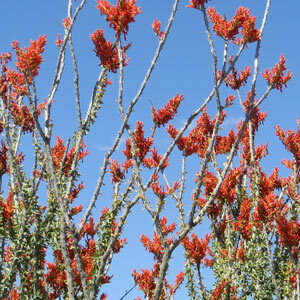 Ocotillo essence helps one to respond rather than react while feeling protected and guided. It gives insight into and acceptance of emotions without feeling victimized by them. 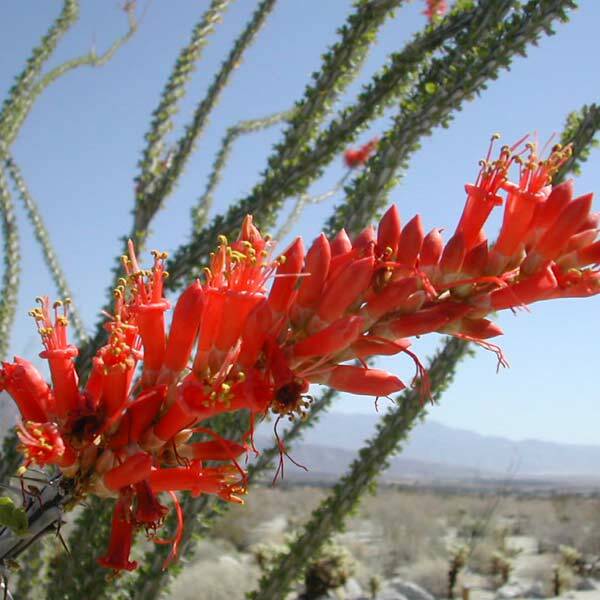 Our organic sources include those prepared by the Flower Essence Society. 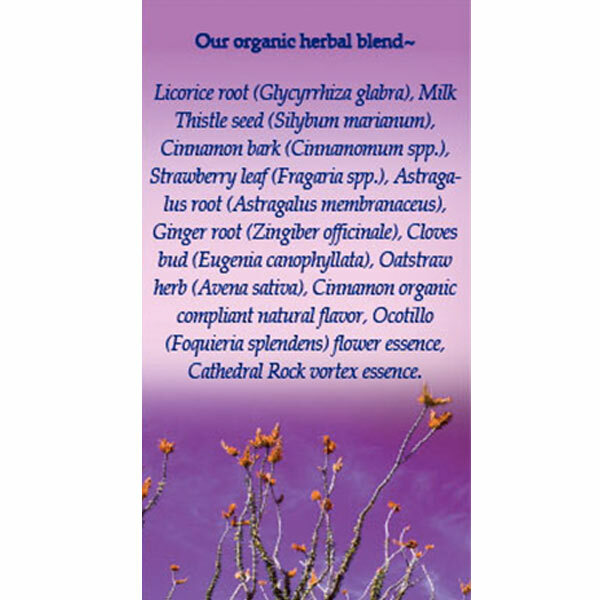 Caution: Although Licorice root is only one herb in the blend, moderate cautions still apply. Contraindications include high blood pressure, diabetes, impaired kidney function, liver disorders and pregnancy. Excess may cause electrolyte imbalances (sodium retention & potassium loss), particularly if using thiazide- and loop- diuretics and may increase the action of cardio-glycosides and interfere with anti-arrhythmic drugs. 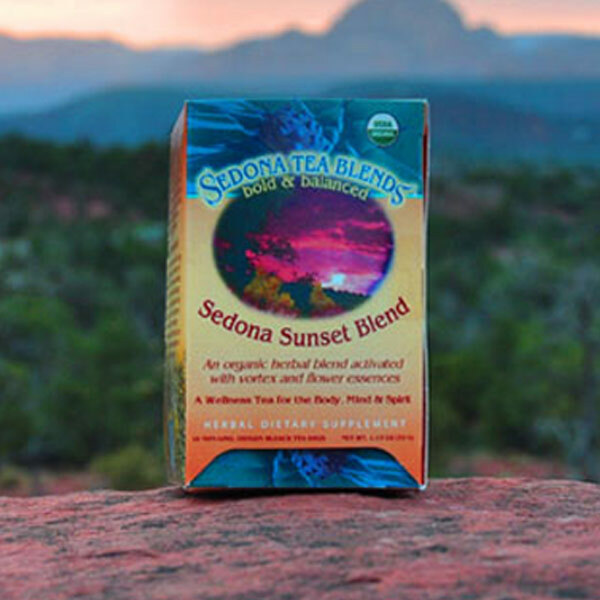 Our intent is to offer a synergistic experience that captures the deliciously rich flavors of our organic herbal tea blends, infused with the healing qualities of Sedona’s sacred places of power and her desert flower essences. 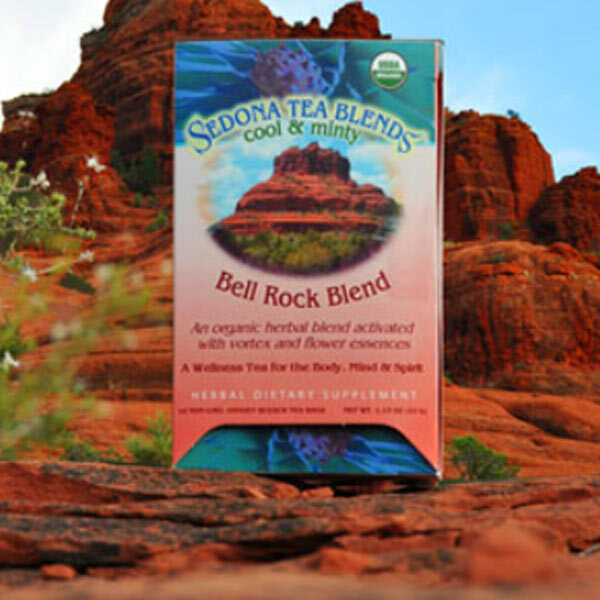 We envision a renewal of vitality to the body, mind and spirit.